Named after the Celtic word Li, meaning white, Lilies are a highly versatile plant which can flower throughout the late spring of May to the early autumn of September. Our FREE 2016 Spring Catalogue has many different varieties available to ensure that whatever your gardening needs we will have a suitable lily for you. Following the success of our lilies last year we still have one of the biggest and best lily collections available in the UK including the upward facing Asiatic Hybrids, the beautifully scented Oriental Hybrids and the impressive Trumpet Lilies. They are a plant which can thrive in a range of different locations in your garden and can also help the rest of your garden flourish with some unique characteristics. Excellent in both pots and straight in your garden there are some questions out there asking how to grow lilies and if the methods vary for pot cultures and garden growth. The answer depends on a number of factors including drainage potential and the make-up of the soil or compost you use amongst the most crucial. If you would like more detailed instructions they are available on our website. Order today through our website, e-mail us at help@blomsbulbs or telephone our office on (01234) 709099 and request your FREE catalogue. With their Bright colours and attractive scent Lilies aren’t just a desirable plant for you, they help attract pollinating insects to your garden. This is excellent as it helps the rest of your plants flourish from the added attention while helping improve the biodiversity of your local area. One insect you would like to avoid is the lily beetle. This pest is known for its defoliating antics and can also result in undersized bulbs the next calender year if the plant is attacked early in the summer. The most humane way to get rid of lily beetles is to remove them by hand but insecticides can be used before the plant is in flower to kill the larvae. 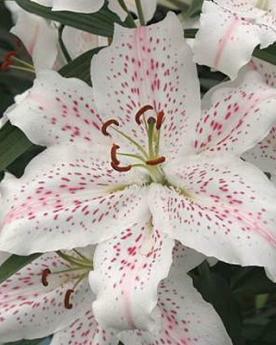 Our Asiatic Hybrids and their dwarf equivalent the Asiatic Patio Lilies are ideal for large and small pots. Their upwards facing flowers and sturdy stems make them an excellent variety for exposed gardens and their early flowering time makes the Hybrids a brilliant cut flower. Some of our most popular varieties are Oriental Hybrid Lilies and Dwarf Oriental Hybrids, with the pure white Casa Blanca, the robust rich pink Josephine and the perfumed Caroline Tenson are amongst our top sellers. For those gardeners who love variety in their gardens we offer increasingly popular Collections with our Oriental Collection which make a fine show in borders and impressive pot displays. A strong and sturdy alternative is our Trumpet Collection which is made up of Showy Trumpet Lilies. Regale Extra Large and Selected Quality are our best known varieties thanks to their scent and how they make some of the best cut flowers. This year we are delighted to offer you the exquisite Fusion Lily, the world’s first cross between the famous Panther Lily (Lilium Pardalinum) and the Easter lily (Lilium Longiflorum), with such famous parents the Fusion Lily has the potential to be one of the most popular lilies in our catalogue. 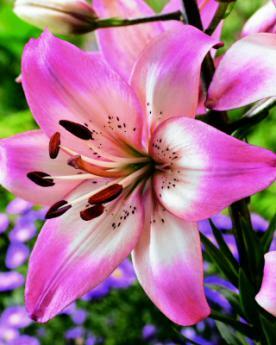 But perhaps be wary if you are a cat owner as lilies are known to be toxic to cats and there are some cases of cats suffering from poisoning after ingesting lilies. 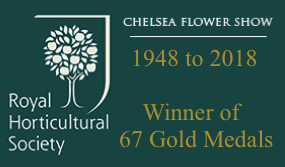 If this affects you we would recommend that you look at our Dahlias, Begonias and Summer Flowering Plants instead. Our Lilies are highly versatile and can be used in both pots and in the garden to create beautiful displays. We have several variations whose striking colours and perfume can be enjoyed throughout the whole garden and are available to be purchased today. We have a widespread variety of Lilies available as well Dahlias, Begonias and Summer Flowering Plants to help you achieve the garden of your dreams. To buy your bulbs you can receive your FREE CATALOGUE full of our products by e-mailing our office at help@blomsbulbs.com and requesting one. 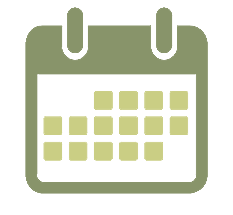 We can also answer any questions or queries you might have regarding our products and any information on previous orders. We can also provide this information by telephone if you phone our office on (01234) 709099. 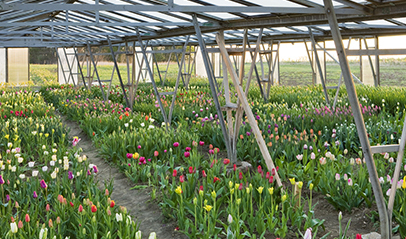 Alternatively you could visit our website at www.blomsbulbs.com where you can information on all of our products and process your order online if you are so inclined.